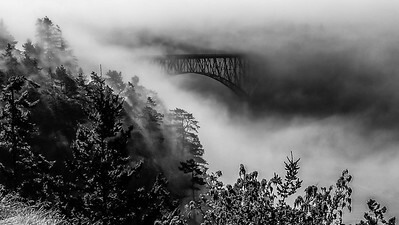 A shot of the bridge over Deception Pass I took on a bicycle tour. For more info on this shot check out my blog at http://www.stevecoylephotography.com/Blog/Exploring-the-World. 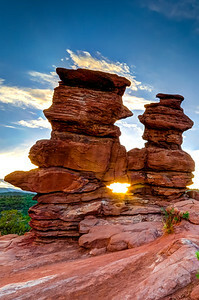 The Siamese twins in Garden of the Gods in Colorado Springs. Caught the sun right as it was setting. That required a quick run up the trail to the stone structures. Luckily I arrived just in time. This pack bridge was constructed in 1956 as a result of the tireless efforts of my great aunt Frances. 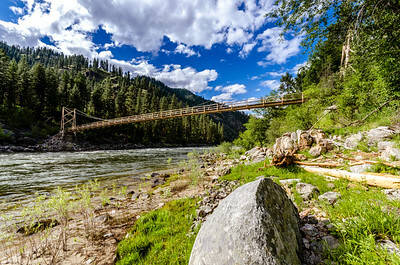 Before the bridge was built, she and her husband ran Campbell's Ferry on this part of the Salmon River, but due to high water in the spring and winter conditions for much of the year, there was only a short window of opportunity that the ferry could be operated. Trying to cross by any other means was to take your life in your own hands. In 1994 this bridge, the only crossing of the Salmon River for over 40 miles in either direction, was dedicated to my great aunt. The Frances Zaunmiller Wisner Memorial Pack Bridge is in the Frank Church River of No Return Wilderness. It connects 2 national forest (Nez Perce on the left, Payette on the right) and 2 time zones (Pacific on the left, Mountain on the right). It is also on the Idaho Centennial Trail that runs from Nevada to Canada. 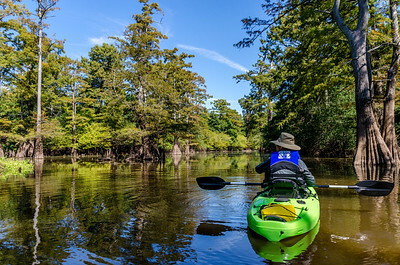 Taking in the view in Bayou Bartholomew. 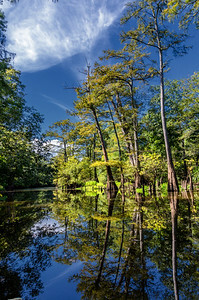 Taking a look back at Bayou Bartholomew today. I had some assistance from my #1 assistant (aka my wife and photographic consultant) to capture this shot of me at Shannon Falls in British Columbia, Canada. I found it a lot easier to ask her to click the button on the remote after I was in position, than setting the timer and running into position. It truly was amazing to stand below the huge amount of water coming off these falls. 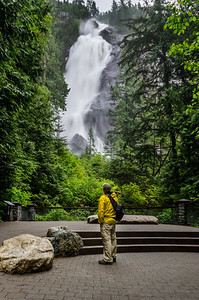 For complete info on the falls, check out http://www.env.gov.bc.ca/bcparks/explore/parkpgs/shannon/. 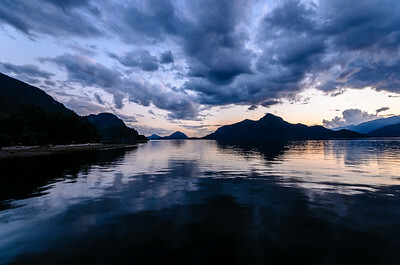 I teased you with this scene shot with my iPhone a couple of weeks ago, but here's the shot I got with my DSLR at Porteau Cove Provincial Park (http://www.env.gov.bc.ca/bcparks/explore/parkpgs/porteau/) in British Columbia, Canada. Beautiful spot to watch the day come to a close. 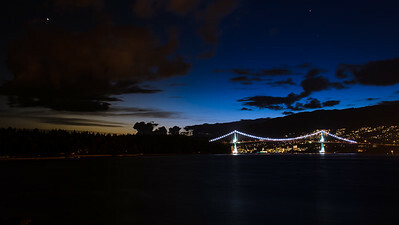 Sunset on Lion's Gate Bridge from Stanley Park in Vancouver, British Columbia, Canada. Digging through the archives and found this shot from our Alaskan Cruise vacation last year that I had not previously processed. i caught the last hint of sunlight as I made this shot. I purposely left in the tail lights from the vehicles traveling on the road that circumnavigates Stanley Park on the left side of the shot to add to the dimension of the view. I'd love the chance to see this view again. 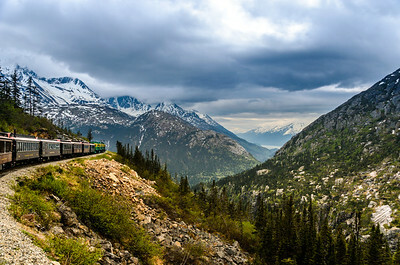 I made this on one of our Alaskan Cruise excursions in May on the White Pass and Yukon Railroad. We were headed back to Skagway after a quick trip to Canada for the day. Looking at this scene reminds me of the movie Polar Express, one of my favorite holiday movies. It felt like an appropriate photo to share as we are quickly approaching Christmas. Our last destination on our Alaskan cruise was College Fjord. From where College Fjord is, it appears it would be difficult to get to by any other means than a cruise. You'd really have to want to go here. Even on the rainy, cold day we visited the fjord it was quite stunning. 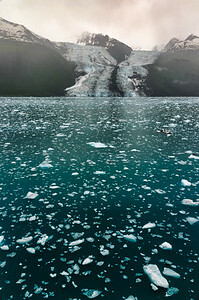 This is a shot of Bryn Mawr glacier that I had to do quite a bit of editing to cut through the rain the area was receiving the day we were there. I'd love to see this place on a nice day. Even shrouded in clouds and rain it was amazingly beautiful. The only scary part was listening to the ship forge through the ice and hoping we wouldn't spring a leak. In memory of my parents who introduced my brother and I and many of their students to the world of books, and in honor of all librarians and teachers. 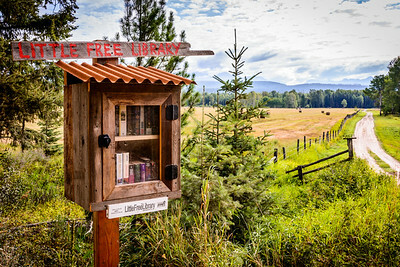 We passed this Little Free Library on the way to Polebridge, Montana. It's about 35 miles from Columbia Falls to Polebridge, Montana, most of which is on a dirt road. You can imagine our surprised when we came upon this library, literally in the middle of nowhere. The mountains in the distance are in Glacier National Park. The view makes me want to stop and read a book for a while. My wife and I watched 'Great Plains: America's Lingering Wild' on PBS last night and it reminded me of the Las Vegas National Wildlife Refuge that we visited last week. We really enjoyed seeing Michael Forsberg's photography in the show so I checked out his Facebook page and gave him a 'like'. I posted the iPhone shot I took in this area last week, but I like this shot I made with my DSLR a lot more and needed to share it. 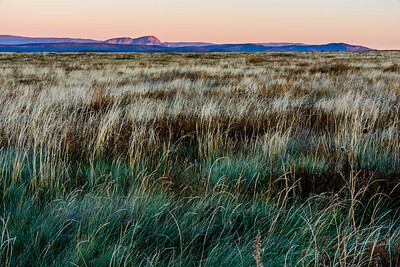 If you're ever in this area of New Mexico I recommend checking out this NWR. Getting there for sunrise is a great way to start the day. 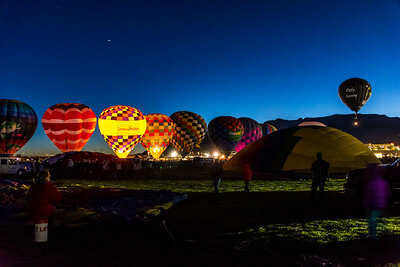 The first morning of the Balloon Fiesta in Albuquerque, New Mexico last Saturday. The Wicked hot air balloon was leading the ascension that morning. 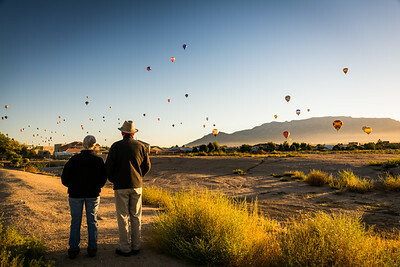 It's a sight to see if you are ever able to make it to New Mexico for the fiesta. TGIF! 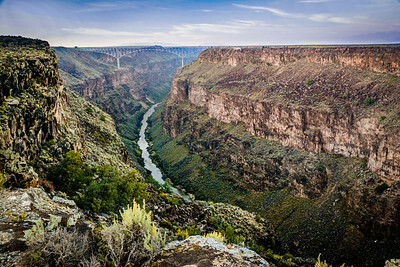 Sunset on the Rio Grande Gorge west of Taos, New Mexico. There was smoke in the canyon from controlled burns in the nearby mountains when I made this shot. Gave the gorge a foggy cast. Glad it's the weekend again! Another shot from our hike on Falls Creek Trail in Lake Catherine State Park in Arkansas in March. 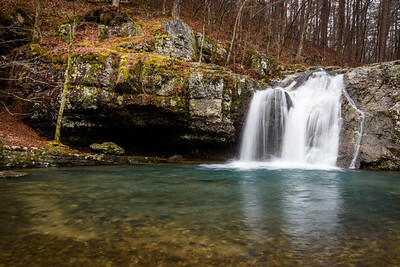 Another vantage point to take in Lower Eden Falls from at Lost Valley in Arkansas. In the other shot of these falls that I posted previously I was getting quite wet under an overhang that is outside of this shot on the right. It was much drier at this point allowing me a little more time to compose the shot without getting soaked. We were told about this waterfall at the Buffalo Outdoor Center when we were in Arkansas in March. It was a nice hike to this waterfall they call Glory Hole. The water has worn a hole in the rock and pours through the rock. 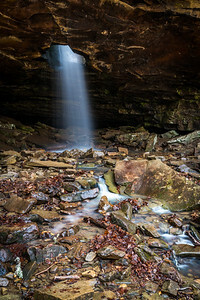 The shafts of light piercing the darkness of the overhang add to the drama. 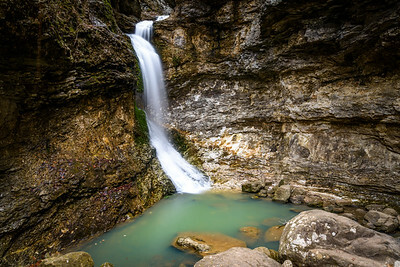 Definitely worth the hike in if you ever find yourself in the Buffalo River region of Arkansas. 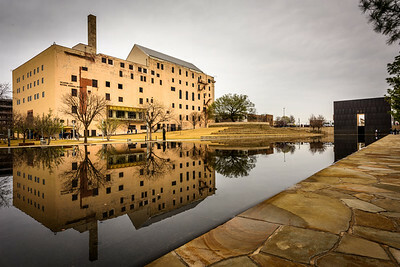 It was a cloudy morning in March when we visited the Oklahoma City National Memorial. There were a few visitors at the memorial, but not so many that it made taking photographs difficult. I really liked the reflections on this morning as it really made the structures at the monument stand out. There was virtually no wind to speak of so the reflecting pool was like a big mirror. Really an incredible scene for a tragic incident in American history. Happy Monday! One of my favorite views along the Mt Whitney hike. 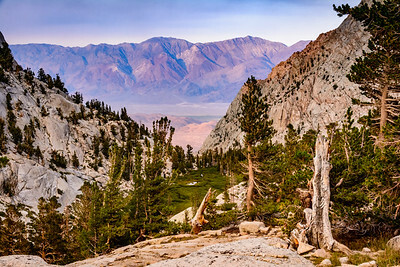 This was taken somewhere between 10,000-11,000 feet above sea level looking down into Bighorn Park, the Alabama Hills, Lone Pine, California and the Inyo Mountains in the distance. I really like all the layers represented in this shot. Provides great depth and perspective of how we actually were.